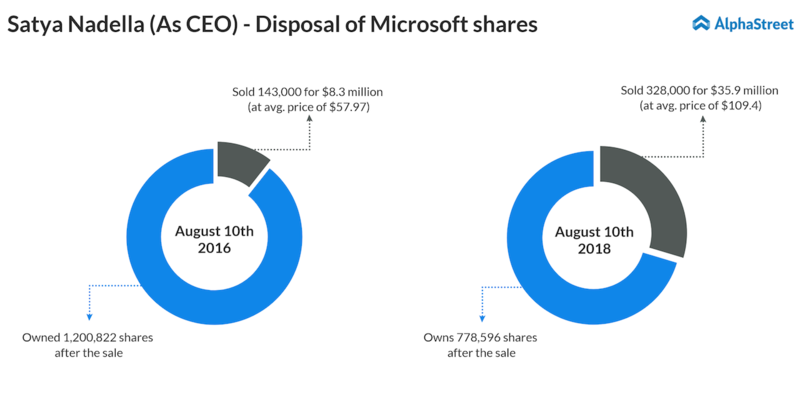 Last Friday, Microsoft chief Satya Nadella sold about 328,000 shares in the company, representing 30% of common stock he holds, at an average price of $109.4 amounting to a total of $35.9 million. After the Friday’s transaction, Nadella holds 778,596 Microsoft shares. This is the second time Nadella is selling the Microsoft stock after he succeeded Steve Ballmer as the tech behemoth’s CEO four years ago. Exactly, two years back on the same date (August 10, 2016), he had unloaded 143,000 shares at an average price of $57.97 for $8.29 million. The company reported that the recent share trading of Satya Nadella was for personal financial planning and diversification reasons. 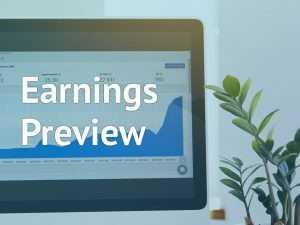 It’s common that top execs like Facebook’s (FB) Mark Zuckerberg and Amazon’s (AMZN) Jeff Bezos have offloaded their shares for various reasons through the 10b5-1 plan in which a company executive sells shares at predetermined dates. Bill Gates, the co-founder of Microsoft has been continuously divesting his shares through a long-term 10b5-1 plan. So far in 2018, he has not divested Microsoft shares. After his last sale in May 2017, Bill Gates owns 167.84 million shares. According to Bloomberg, Nadella will start divesting his shares starting from next year through a pre-structured plan and he is expected to sell less than half of his shares through this plan. The Redmond, Washington-based company’s stock, which hit an all-time high of $111.15 on July 25, was down about 0.5% at 1:30 PM ET today. The stock has almost tripled now since the India-born Nadella took over the leadership in 2014.